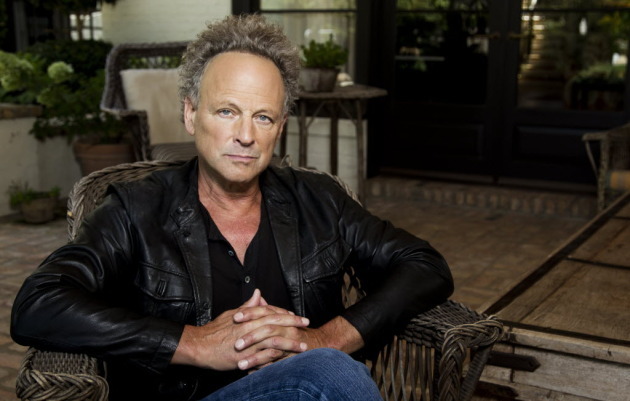 Lindsey Buckingham may be more in touch with his feminine side than any other male guitar hero. He manifested his considerable guitar prowess Friday night at the packed Pantages Theatre. And he also talked about his feelings. His life. His philosophies. His career. His new album. Himself. Too much. Buckingham is a piece of work. No need to critique and psychoanalyze your songs before you play them, dude. Just shut up and play. He did play. Plenty. It was a mix of stuff from his solo career and from the Fleetwood Mac catalog. He didn’t say much at all about the Big Mac except after some guy shouted out something about where’s Stevie Nicks, Buckingham said, "Unfortunately for that one gentleman, Stevie’s not in [this band]. What show is he at?" Buckingham, who turns 62 next month, started the 110-minute concert playing solo. His vocal phrasing was slow and deliberate,enhancing the emotionalism of his singing. He showed a splendid sense of dynamics, especially with the exaggerated drama on Fleetwood Mac’s "Never Going Back Again." After five numbers, three musicians joined Buckingham — guys who have worked with him on his solo projects for many years. The sidemen helped frame several songs such "Tusk" with its primitive drums and "All My Sorrow" with its vocal echoes of the Association and Brian Wilson. Buckingham played six selections from his new self-released disc, "Seeds We Sow," his third solo studio effort in the past five years. "Illumination" was dark new-wave, "End of Time" sounded R.E.M.-ish, the choruses of "That’s the Way Love Goes" rocked like the Pogues and "Stars Are Crazy" felt like Broadway rock with every lyric delivered like it was so important. "Seeds We Sow," the night’s finale done solo, found Buckingham going from a vocal wail to a whisper and ending the piece with some lovely classical finger picking. Most of the night, Buckingham’s guitar work was heavy on mesmerizingly swirling repetition but he cut loose and soared with rock ‘n’ roll abandon on "Go Your Own Way" to the delight of the Mac-loving fans, who offered several standing ovations during the concert. Buckingham came across as strikingly self-satisfied and basked too much in the adoration, responding with some kind of grand gesture — hand over his heart, clenched-fist salutes, hands pressed together while he bowed his head, etc. — after nearly every song. His manner, like his conversation, seemed a bit much. But his music and his guitar playing were worth savoring.